Some of the most enduring stars of British theatre, film and television have paid tribute to the last Sir Peter Hall. 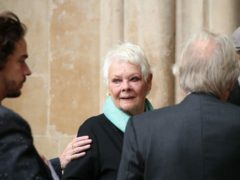 A memorial service for the founder of the Royal Shakespeare Company and director of the National Theatre was held at Westminster Abbey. He died aged 86 in September last year.